With a WordPress design template as the foundation for a website, there’s no need to create new code – the code already exists within the template. With well-crafted templates, or “themes,” code has been tested thoroughly and is compatible with all modern browsers, including Google Chrome, Internet explorer, Firefox, Safari and other browsers. Law Firm Web Design’s WordPress design templates include solid, meticulously crafted code that’s been thoroughly tested. Some other design templates haven’t been tested as thoroughly. Coding is time-consuming and expensive. Re-using code, by using a WordPress design template, can save time and effort and, of course, money. Good design costs, too. A WordPress design template serves as a blueprint for your final website, so many aspects of your site’s design have already been determined. This results in lower website development costs compared to sites created entirely from scratch. Our customized Law Firm Website Templates cost a fraction of what a custom-developed site would cost. We know. We used to build those, too, until our clients told us they wanted less expensive options. Contact us to get a quote for law firm web design and see how we stack up against the competition. Typical website development can take take many weeks or even months. A website created with a WordPress Design Template saves your law firm time. With a a WordPress Design Template, we don’t have to figure out whether we want to create a site with two columns or three, or one with a slideshow on the home page or not. We’ve already shown you a variety of law firm website templates and you’ve chosen one that works for you. Don’t worry if you’re not sure which design to choose. Contact us for a free no obligation quote. We’ll help you pick the best design for your law firm. With a custom design, it’s easy for designers to head down many different roads until they create the right design for your law firm. With a WordPress design template, much of the hard work is already done, so there’s less chance of error and development can proceed at a faster pace. We analyze how our designs are used, looking at things like where people click and how they interact with each page. We get rid of features that don’t move people forward and put the focus on features that help convert visitors into clients. Just because you have a design that’s been proven to work doesn’t mean it can’t be unique. Competent professionals understand the ins and outs of WordPress design and can customize a theme to ensure that it’s unique and stands out from the competition. A WordPress design template is just a starting point. Think of it as a blueprint or a framework for your website, not a finished design. 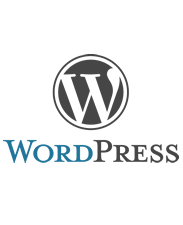 With WordPress, it’s incredibly easy to expand and change your website. Adding, moving and deleting items within your main menu, for example, is as easy as dragging and dropping. Text and images on your site are all stored in a database. With content separated from data, updating your design is easy. Just find a new design template, customize it, and you’ve got a fresh new design. There are more than a few companies that build websites on a proprietary platform. To update your site, you’ll access their tools. While some of these tools may give you power to add text and images to your website, very few are as powerful as WordPress. If you decide to move your site, you’ll find it difficult or impossible to do so. With WordPress, you’ll become part of a global community with worldwide support. Proprietary systems lock you to a service provider long after you may want to switch. Because you’ll join the worldwide community of WordPress users, you’ll gain access to plugins and features that can add power to your website with ease and little expense. For example, if your law firm holds frequent seminars or webinars, you can add online reservations for these events with very little cost or effort. Tie your site to social media with ease. Even automate your email newsletter! Added features don’t cost a fortune with a WordPress site. To make your law firm website a success, you need a WordPress expert. Contact Law Firm Web Design to find out how we can make your site a success.